A creamer like this, really makes you feel like a king! The Royal creamer by Villeroy & Boch is simply royal! Beautiful in its simplicity. The Royal creamer forms part of the Royal collection by Villeroy & Boch. This historic brand is the best you can find on the market with regard to porcelain tableware. The Villeroy & Boch company was founded in 1748 and since then it success has kept growing. Villeroy & Boch products are not only useful items for the kitchen and table, but they are real artworks. 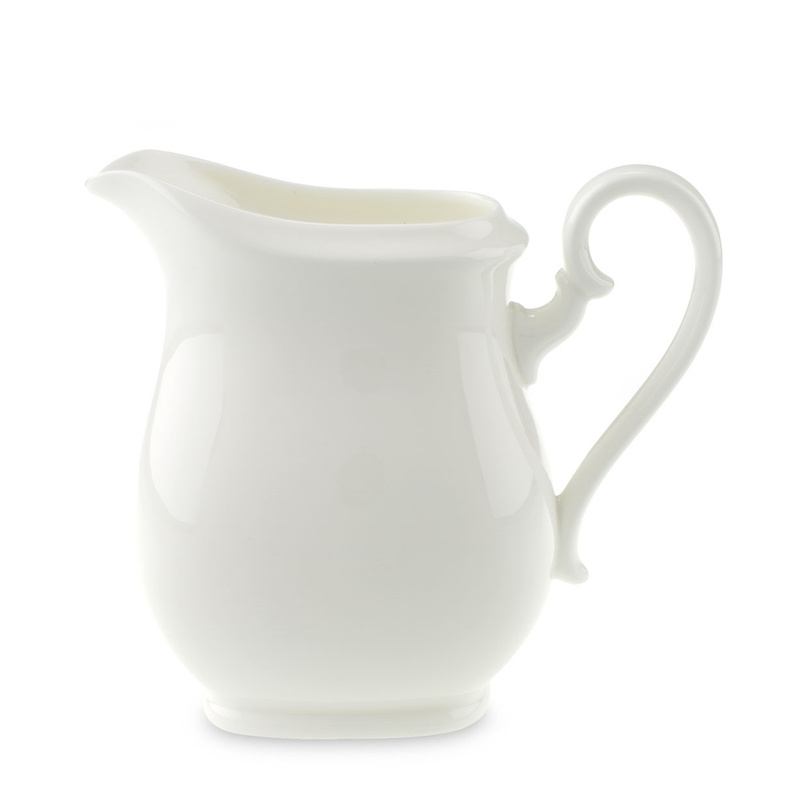 The Royal creamer, simple and essential, is an example of high-quality design. The quality of the material it is made of is excellent, since the Royal creamer by Villeroy & Boch is made of Bone Premium porcelain, an excellence in the porcelain field. The Royal creamer has a capacity of 0.70 l. Waking up in the morning and pouring milk with the Royal creamer will be the beginning of a wonderful day. And if you buy the entire Royal collection by Villeroy & Boch, you can be sure to have at home a table set that is suitable for a king. When deciding to buy some tableware, it is good to always buy items by reliable brands because design products are a guarantee for consumers of the quality of their purchases. Villeroy & Boch is a historic brand and you can definitely trust the quality of its products. The Royal creamer, with its refined elegance, is an example of classy design. If you have guests, the Royal creamer and the other elements of the collection will be a way to get it with elegance. The Royal creamer will be the protagonist of your everyday breakfast. If you want to have elegance and refinement in your own home, you can be sure to have them by choosing Villeroy & Boch products. 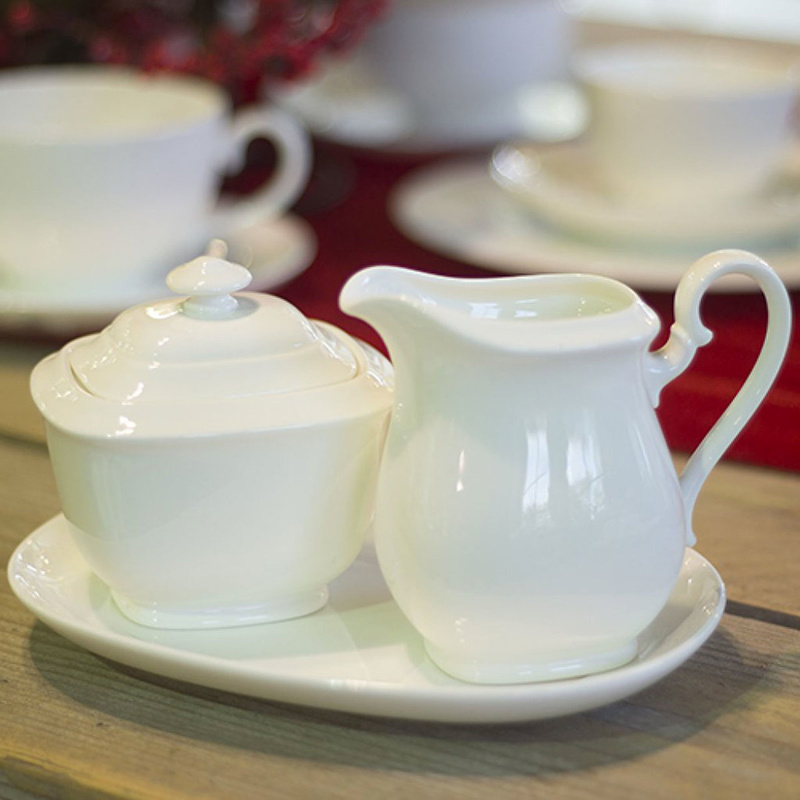 Even a simple creamer, provided that is the Royal one, can help creating a classy atmosphere. When you buy Villeroy & Boch, you buy the best of porcelain tableware, basically you buy exclusive and Royal products!